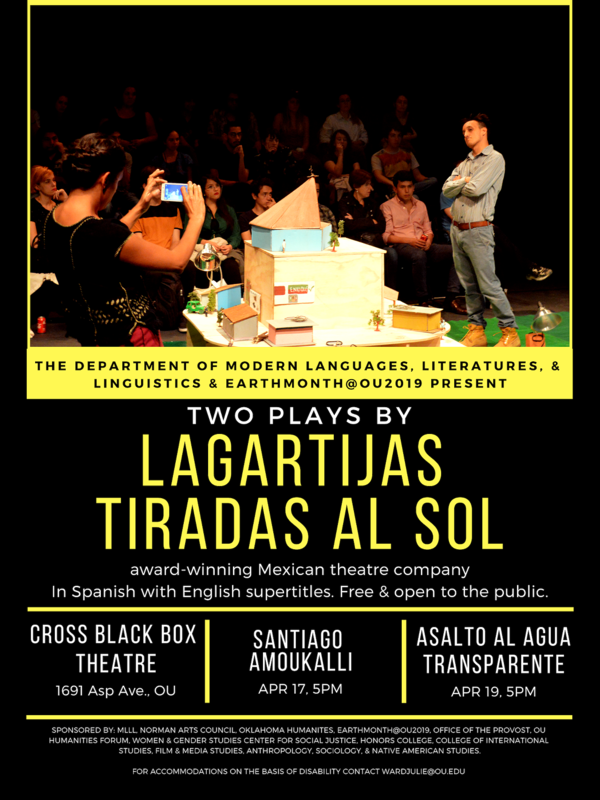 Award-winning Mexico City theatre collective Lagartijas Tiradas al Sol 'Lizards Loungin in the Sun' will present "Santiago Amoukalli", a play about democracy, violence, and responsibility in the high sierra of Mexico. The play with be followed by an interpretive panel discussion with Dr. Sarah Hines (University of Oklahoma, History) and Dr. Alicia Kae Koger (University of Oklahoma, Drama) and Dr. Julie Ann Ward (University of Oklahoma, Latin American Literature and Culture). 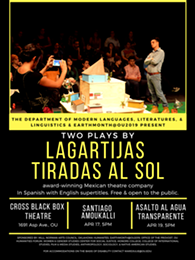 The performance will be in Spanish with English supertitles. This event is free and open to the public.